Doing this job is dangerous. We don't have a lot of deaths—at least, not as many as law enforcement or the fire service. What we do have is on-the-job injuries. According to a study published in the December 2007 issue of the American Journal of Industrial Medicine, almost 10% of all emergency medical technicians and paramedics in the country at any given time back then were missing work because of a job-related injury or illness. Those who worked in busy systems (defined as more than 40 calls per week) had injury and illness rates of almost 19%. Emergency crew members with self-reported back problems also had increased incidents of work-related injury, with 12.5% of those folks suffering injuries at work. To put things in perspective, the rate of workers missing days on the job for work-related injuries or illness in the general public was only 1.3%. Emergency crews working urban areas (defined as a population of more than 25,000) were 3 times as likely to get on-the-job injuries or illnesses. 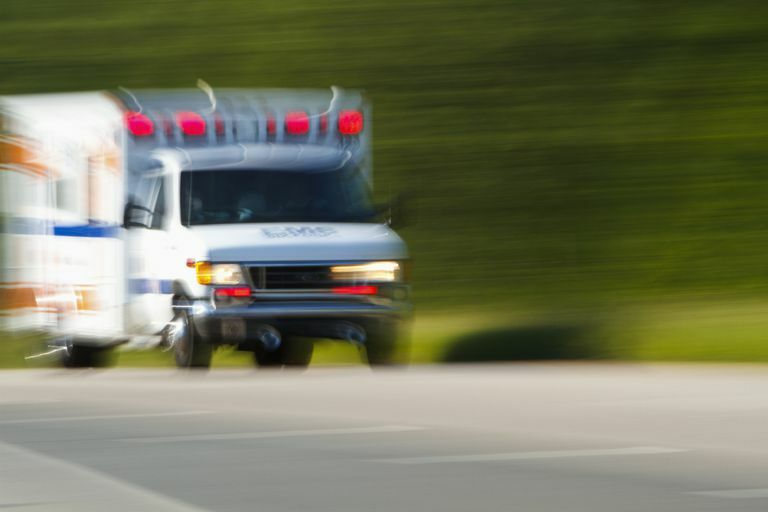 The most common illnesses and injuries were exposure to blood-borne pathogens from needle sticks, injuries from lifting and moving patients, various wounds inflicted by violent patients, and injuries caused by traffic accidents involving ambulances. Universal precautions haven't always been used. There was a time not too long ago that gloves were hardly worn unless a caregiver's hands needed to be sterile for the patient. The idea of wearing gloves to protect the caregivers was completely foreign. Today, paramedics and EMTs routinely wear gloves, masks, and goggles to avoid communicable diseases. Moving toward a safer environment protects not only the worker but the worker's family as well. There are plenty of careers more dangerous than emergency medical services, and this shouldn't keep anyone interested in being a paramedic or emergency medical technician from choosing this line of work. However, once you're working in the ambulance—or "box," "bus" or truck (depending on what crews call it in your area)—follow the safety rules. Nobody wants to spend years in school and thousands of dollars in tuition only to end up watching lawyer commercials on daytime TV while waiting for a decision on a worker's compensation claim.